Last year, being a debut author felt like one constant round of being disorientated by the avalanche of new experiences. Everything is a ‘first’. Editing, pre-launch preparation, events (if you are lucky), reviews (if you are even luckier) and then – amazing – reader feedback that arrives by a variety of channels, sometimes stumbled upon accidentally. And it won’t always be positive. But it is lovely that it is there. That you have readers. Your book exists outside of your own head. 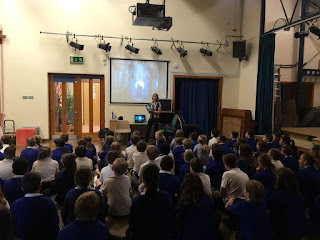 Whether it's the first time you speak to a group about your book, or the first email you receive from a reader, or someone sending you a picture of one of your characters that they've drawn, you have to deal with all this strangeness (and quite frankly, terror) of dealing with your book 'out in the wild'. What? You want to read it??? It stops being a part of you and somehow manages to have a totally different life of its own. It no longer needs you. 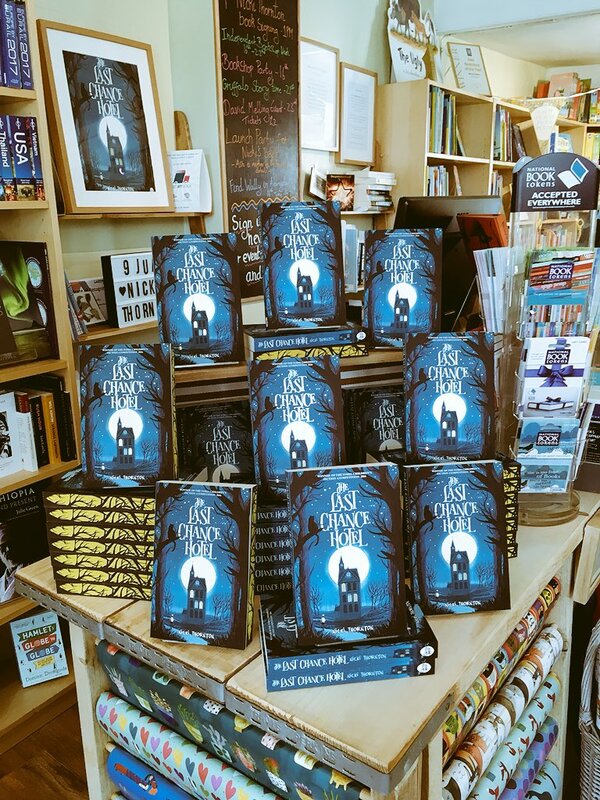 It has independently grown its own wings, left you, and miraculously landed on the shelf of bookshops and then on the shelves of readers to make of what they will. And of course you still have to remain focused on writing the next one (and then editing that, and then writing the next), all while dealing with the strangeness of people reading what, until now, has been your private story, your own thoughts. Dealing with all this in your own language is one thing - but if you are lucky enough to have your book published in another country - and another language – this strange new life gets turned up several notches. 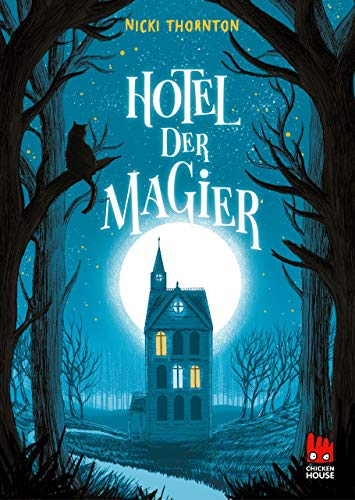 I knew The Last Chance Hotel would be published in translation, but didn’t know when. I knew the Russian language rights had been sold, but didn't know a publication date. 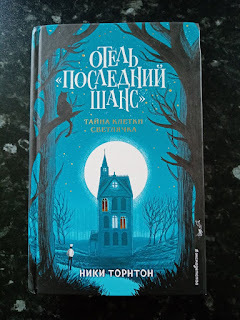 So when a package arrived at the door and I discovered Отель «Последний шанс» (literally 'Hotel "Last Chance" ') it was amazing. I discovered a whole other life, the same book, but different. Luckily my husband (Mark) and I know a smattering of Cyrillic, enough to go through and identify the key characters. 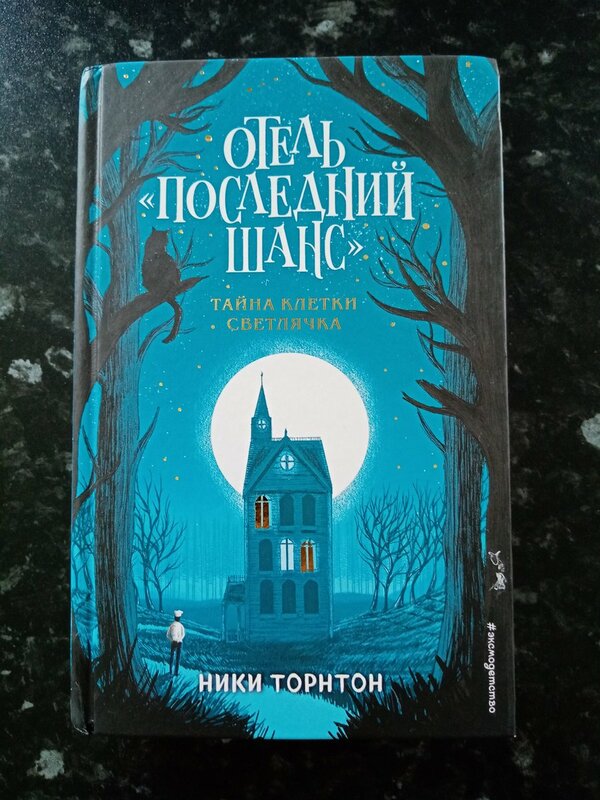 The Russian language doesn't have a 'th' sound, so my main character 'Seth Seppi' has become 'Sett Seppi', and a few other characters have slightly different names (even my name alters slightly to 'Niki Tornton'). And there's a subheading on the jacket which reads 'The Firefly Cage Secret' which is a lovely nod to the original title of the book The Firefly Cage when it won the Times / Chicken House children’s fiction competition. At the time of writing, we haven't identified the name of Nightshade the Cat! 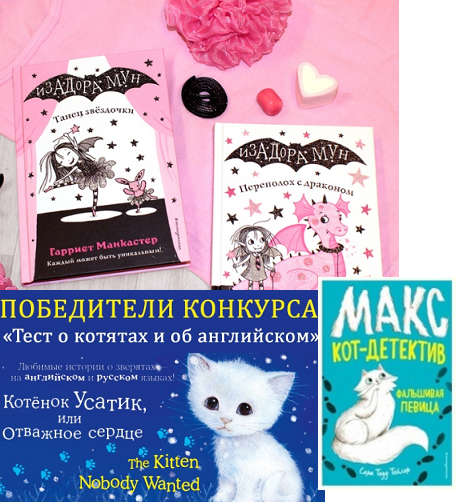 If you are interested in seeing the book in Russian, and reading the blurb, check out the link to publisher ЭКСМО (Eksmo). Eksmo also has a kids' book feed, and it was great to spot some favourite UK authors also there, including Holly Webb, Sarah Todd Taylor and Harriet Muncaster's 'Isadora Moon' series - makes you feel extremely patriotic, and a great reminder of how much British children's books are a huge global export. Next week The Last Chance Hotel is published in Holland, and I can't quite believe what a brilliantly exciting new adventure is in store. Can you believe that? Publisher De Fontein has produced a gorgeous glow-in-the-dark cover which is amazing. 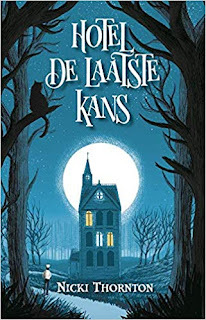 It has also featured on other Dutch book websites, and I have been busy using Google translate to try to get a feel for the translation and what the blurb says. Which is - in the final analysis – probably the most weird thing about having your book translated. I have no idea of the differences in nuances, meanings, and overall cultural sense of the book. 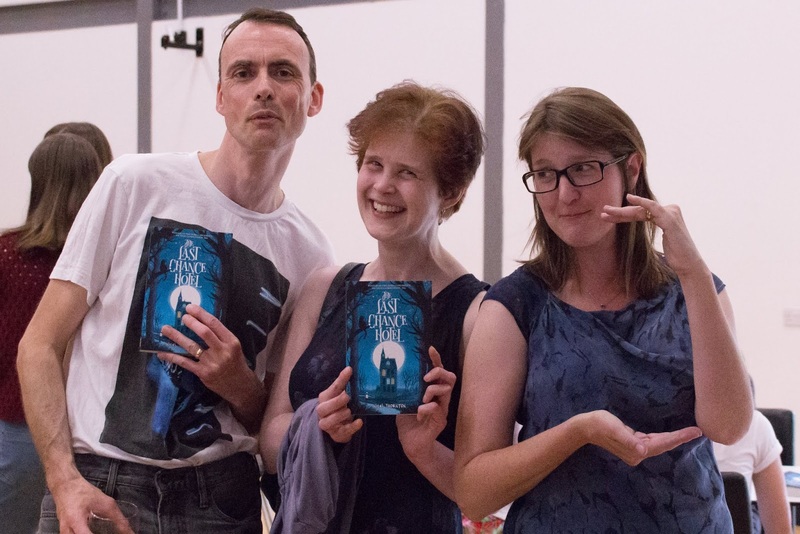 When books are translated, it's both a huge honour, and a little bit of an exercise in trust! The American literary critic George Steiner wrote "Every language is a world" and I'm incredibly grateful to other publishers who are taking Seth and Nightshade, and transporting them into other languages and that they will reach readers in other worlds, who live very different lives. I really hope they find things universal to relate to, not just the fun of the magic and the mystery, but in Seth’s journey, finding a path through life and realising your dreams. Dank u wel! большое спасибо! To everyone who has supported, bought, read and given a whole lot of love to The Last Chance Hotel - thank you! 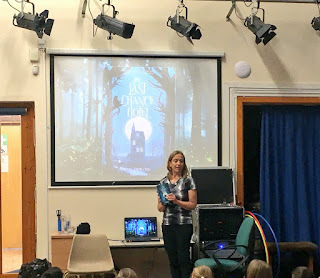 Writing and publishing my debut children's novel has been a lovely experience and there is nothing an author likes better than hearing that readers are reading their book - and enjoying it. A particularly big Thank You goes to Waterstones for choosing The Last Chance Hotel as the Children's Book of the Month for October 2018 and spreading the news so widely and with such passion and enthusiasm. 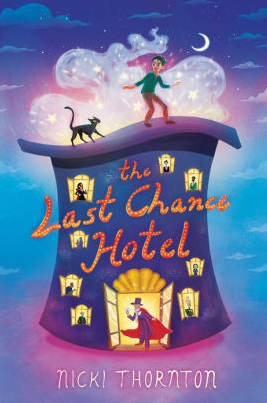 I have been amazed and delighted by all the wonderful displays by your creative teams and it has been so lovely to hear how much they have enjoyed shouting about The Last Chance Hotel. I am sharing them here so everyone can appreciate at the hard work and creativity that has gone into them. And as if this hasn't been an incredible enough month, thanks to the terrifically talented Oliver Daniel Nicholls - olliednmusic - Nightshade also has a theme. A few weeks ago I shared with you Seth's Theme, a brilliant piece of music from talented local composer Ollie DN. 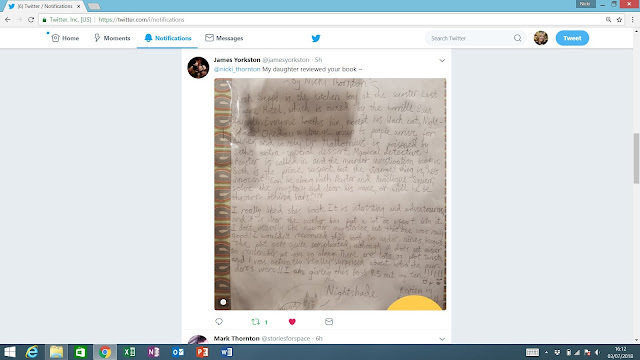 Well, he's now written a theme for Nightshade, and like Seth's Theme, it was inspired by reading the book and imagining how Nightshade might feel if she was a piece of music. Another huge thank you to Ollie. One of the most amazing things about being a writer is realising that not everyone imagines the characters in exactly the way you do. And when they share their thoughts and feeling back to you - whether in a piece of music or a drawing - it's the best feeling in the world! One of the totally lovely things that happens when you get published is that people start to share how your writing made them feel. And one of the most wonderful things that happened to me was when local composer and music teacher Ollie DN contacted me to say reading The Last Chance Hotel had made him think of music. He has shared with me the theme he has written for Seth. It's a lovely, atmospheric piece of music. Absolutely huge thanks to Ollie. This was a brilliant thing to hear, not least because the music conveys to me exactly the sort of feeling I wanted to create in my readers. Writing something that creates those feelings in readers on the page might sometimes feel hard. But I wouldn't even know where to start to create those feelings by creating music. That truly is a whole other special skill. Hope you enjoy listening. 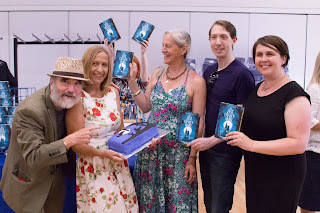 Firstly, thank you to everyone who helped me celebrate my debut novel by coming to my launch party. 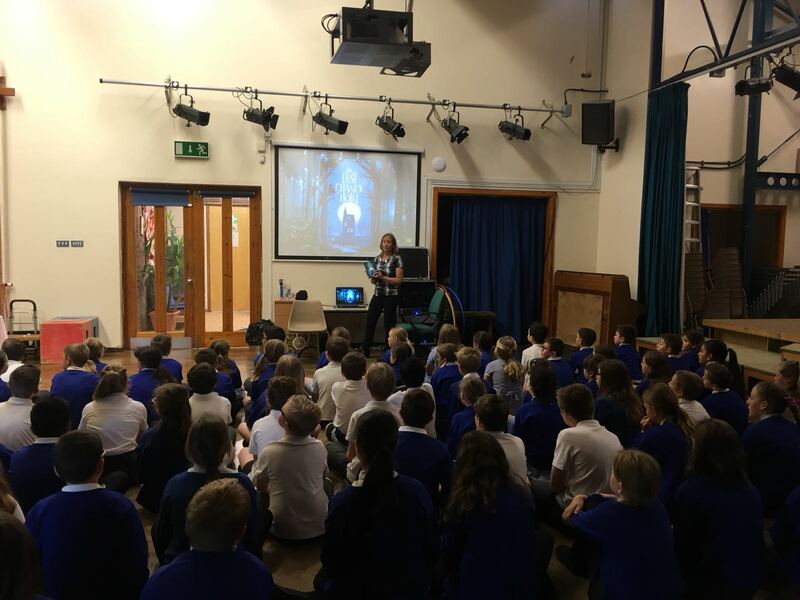 I have done some more school events – and I’ve had some lovely feedback – so do take a look at my dedicated events page if you’d like to invite me to come and visit. 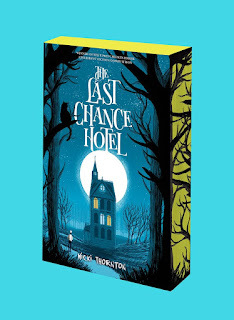 And huge thanks for so many fantastic reviews of The Last Chance Hotel. You might have to forgive me for a whole month of blowing my own trumpet, but some of the reviews themselves are works of art! 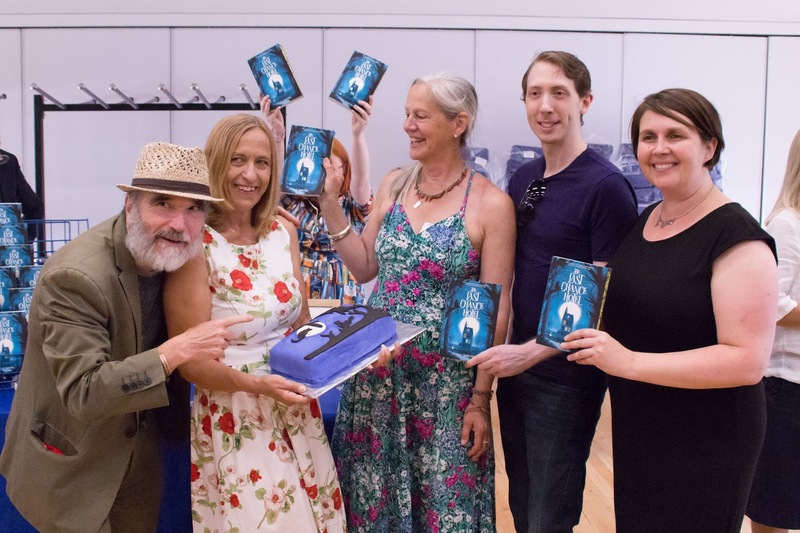 You can have a look at some of the photos from my wonderful launch event at Our Lady’s School on my Facebook page and find out about upcoming events here too. 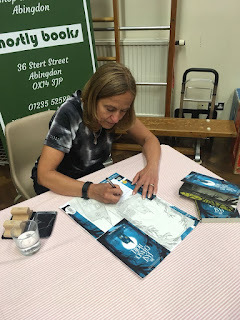 And don’t forget – you can ask me anything about writing, reviews, The Last Chance Hotel or events by contacting me here! 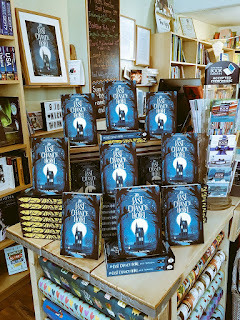 I can confirm it is a nail-biting time waiting for your books to be officially published and to go on sale for people to (gulp) actually read it. As an author you are lost between simply hoping that people will actually hear about it, want to read it and go out and buy it - and enjoy it! So this week I have lost count of the number of 'firsts' I have done. Got my first book published. Thank you Chicken House. 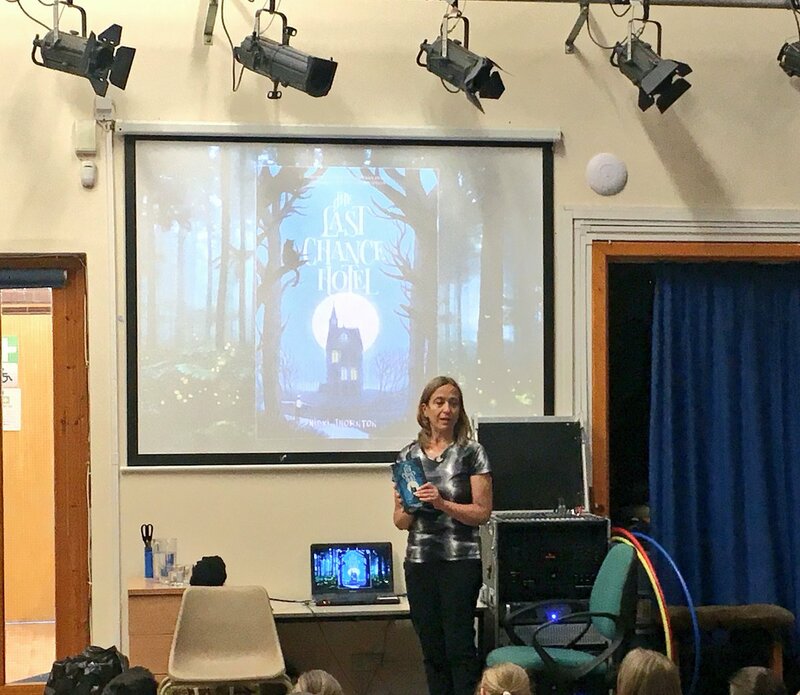 Done my first school author event. Thank you Thomas Reade Primary School. Done my first book signing. Thank you Mostly Books. And received my first reviews. These have been so lovely I have pulled them together in one place to share, and have even found reason to have a brand new 'review' tab on this website here. And the lovely Lilley Mitchell from BBC Radio Oxford was kind enough to invite me onto her show. If you want to hear our chat about The Last Chance Hotel and get my amazing writing tips, then you can listen here. I arrive at 2 hrs 8 mins (between Prince and David Bowie no less). A really huge thank you for everyone who has supported me in so many ways - and who has bought The Last Chance Hotel.